Offering Bluffton Patients Options for Brighter Smiles! If you are looking for a safe, affordable, and non-invasive way to restore your smile, teeth whitening from Dr. Joel Darrah at Buckwalter Dental Care may be the right option for you! Teeth whitening is one of the most popular cosmetic treatments because it’s so efficient and the results are beautiful. Almost all effective teeth whitening products use the same active ingredients, called “peroxides”. Peroxides are highly volatile oxygen molecules that remove stains and bleach your teeth for a brighter smile. Professional products ensure that all of your teeth are whitening evenly and that your gums aren’t damaged by the peroxides. Teeth whitening is effective for any external tooth stain, whether it’s caused by dark colored food and beverages, tobacco use, or the natural aging process. However, teeth whitening cannot be used to treat internal discoloration. Both at-home and in-office teeth whitening use the same basic method to restore your smile and remove stains. However, in-office teeth whitening is much faster, because higher concentrations of peroxide can be used by Dr. Darrah, and a UV light energizes the peroxide to speed up the process. If you need fast results, in-office whitening may be the best option for you. If you would prefer to whiten your teeth in the comfort of your own home, Dr. Darrah can create custom whitening trays. Your treatment will take a bit longer, but you will still end up with a bright, white smile, and you won’t have to spend any time in the dentist’s chair. Restored self-confidence – You can smile and speak freely, with teeth that are free from embarrassing stains or yellowing. Makes you look younger – Because our teeth tend to yellow as we age, whitening your teeth can help take years off of your appearance, and rejuvenate your entire face. Fast, inexpensive, and non-invasive – Teeth whitening is the least expensive cosmetic dentistry procedures, and it can be performed in just one appointment without anesthetic or any kind of invasive surgery. Contact Us Now Get The Bright Smile You Deserve! 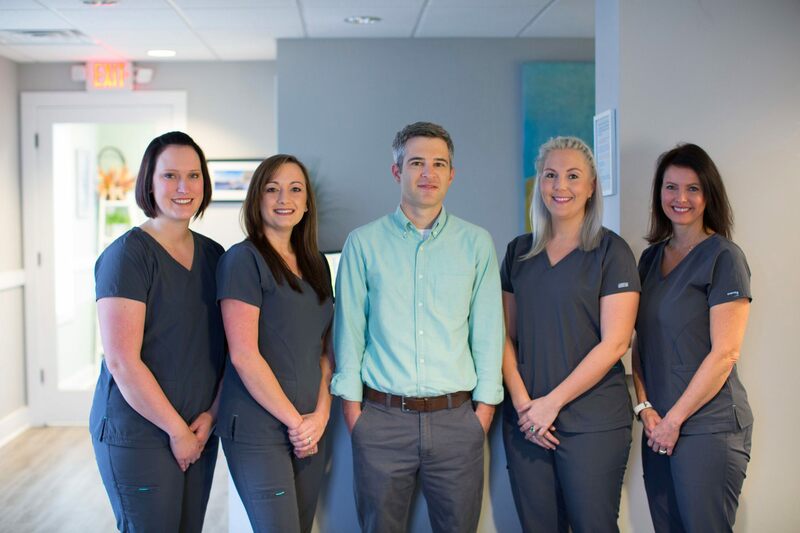 Whether you’ve quit smoking and are looking to restore your smile, or you want a brighter smile for an upcoming special occasion, the team at Buckwalter Dental Care can help! Dr. Darrah can provide you with either in-office or at-home teeth whitening solutions for a quick confidence boost. Give us a call at (843) 815-3232, or drop by our office at 31 Innovation Dr, #2, Bluffton, SC 29910 for an appointment. We’d love to hear from you!